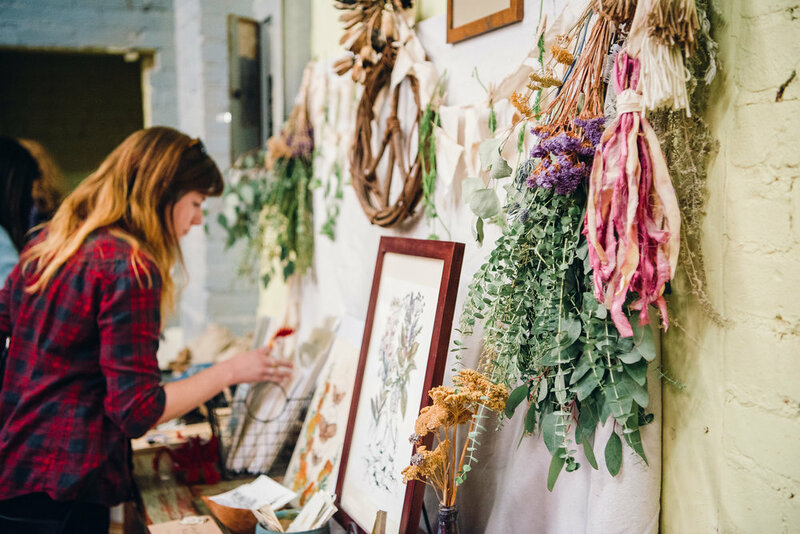 Vendor applications for our Spring 2019 market are now closed! Sign up for our email list to know when applications open for future markets. + When is the next market? Our next market will take place on 4/27/19. + How many spots are there? This varies from market to market, depending on the size and layout of the space where we host. + Why do I have to apply? We have an application process because as much as we would like to include every maker, designer, and artist, we simply cannot. We do our best to curate the market to stay true to our vision and suit the tastes of those attending! Please submit your application, and if you are a good fit & we have availability, we will contact you! + What type of vendors are you looking for? We are specifically looking for Tucson-based emerging & established artisans, creatives, makers, and shops with high quality items for sale. Our most successful vendors have an eye for design & detail, a commitment to their craft, a unique point of view, and integrity & professionalism in their business and community. The categories we typically represent are: apparel, body, ceramics, fine art, home goods, jewelry, kids, leather goods, lifestyle, mens, packaged food, paper goods, plants/floral, textiles, and vintage. + What are the details for participation? We offer a booth & two sizes of tables to choose from. An 8x8' booth is $115. An individual 6’ table is $85. A shared spot at a 6’ table is $45. Shared tables will be split so each vendor has 3’ for displays. All space assignments are at the discretion of the CULTIVATE team and may be indoors or outdoors based on the market location. We will notify you no later than two weeks before the event as to whether your space is indoors or outdoors. + How do I become a sponsor of the market? Send us a note here to learn more! + Do I need any licenses or permits? Because this is a public event, each vendor must have either a business retail license or a special event license to sell. To find the business license application, click here. If you are selected as a vendor, please have your permits with you at the day of the market. We have a rigorous application process and focus on both emerging and established businesses. We announce our application via our email newsletter ~3 months before each market. Sign up for our list here for all of the details! + What kinds of materials do I need to bring? Show off your items with a unique, modern, and professional display. Vendors are responsible for supplying all of their own display items. If you purchase a booth & don't have a table, we can provide one for a small rental fee. We offer a 50% refund upon emailed notification up until two weeks prior to the market. Unfortunately, we cannot offer refunds for cancellations within two weeks of the scheduled market due to the administrative work already done by this time. + How are spaces assigned? Space assignments are at the sole discretion of the CULTIVATE Tucson team. Booth location and detailed day-of-logistics will be sent out via email to confirmed vendors two weeks prior to the market. + Is there anything else I need to know? We are all about pouring back into our local community! As part of our vendor agreement, you are agreeing to donate a percentage of your profits to a non-profit in Tucson. To maximize our giving impact, our team chooses one spotlight non-profit recipient for each event that all vendors have the option to donate to at the end of market day. In addition, vendors can donate to any non-profit of their choosing! We do not handle the transaction for the donation. This is done directly through the non-profits, which means the donation is tax-deductible and must be completed the day of the event once sales are totaled. For more info on our current spotlight non-profit & other details, visit our Giving Back page. This is something we feel strongly about and is central to our market's success. CULTIVATE Tucson does not and shall not discriminate on the basis of race, color, religion, gender, gender expression, age, national origin, disability, marital status, sexual orientation, or military status, in any of its activities or operations.